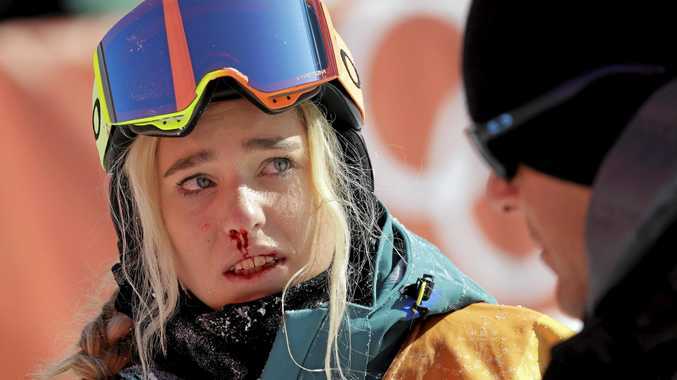 WINTER SPORT: Snowboarder Emily Arthur suffered facial injuries after crashing during the halfpipe final but it failed to wipe the smile off the faces of the Australian team after Matt Graham claimed the nation's first medal in PyeongChang. Graham won silver in the moguls early Tuesday morning, the world No.3 pumping his fist after passing the line in the medal round at Phoenix Snow Park. His score of 82.57 put him ahead of Japan's Daichi Hara, who claimed bronze, and behind Canadian gold medallist Mikael Kingsbury. 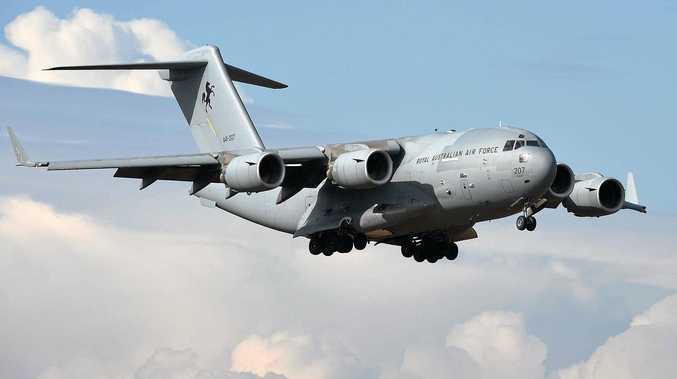 "It's a lot of hard years come to fruition,” Graham said. "A whole life of hard work and it comes down to 25 seconds and one bad turn and it could all be over. 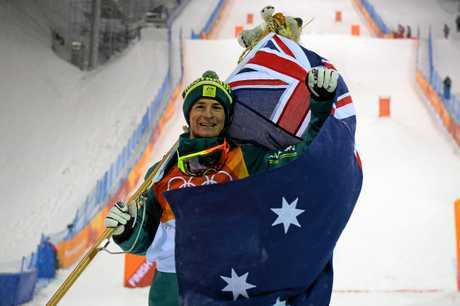 Graham's medal completed an Australian moguls campaign hit by the disappointment of rising star Jakara Anthony and world champion Britt Cox finishing fourth and fifth respectively the previous night. 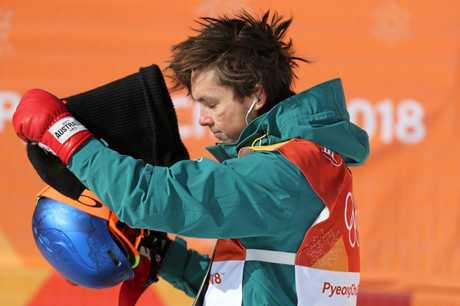 Arthur's campaign in the halfpipe also ended in disappointing fashion, the 18-year-old left battered and bleeding after hitting the snow hard at the end of her third and final run in Tuesday's final. American Chloe Kim took the gold medal after scoring 93.75 on her first run. China's Jiayu Liu was second (89.75) and American Arielle Gold third (85.75). 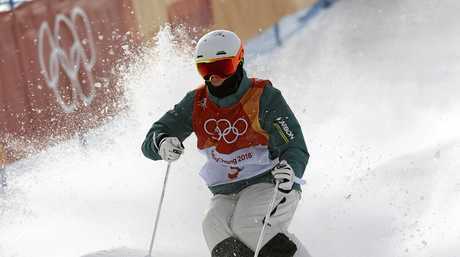 Arthur finished 11th after she sought to boost her score on her third run. She looked to be heading for her top score after a modest 48.25 in her first run and a botched second effort. But spinning a cab 540 she failed to smoothly deal with the landing and jarred her shoulder and face into the flat centre of the pipe. She gingerly got up and appeared winded before being assessed by Australian medical staff. She had a bloody nose and there was also a small cut under her right eye. "Sorry, my head hurts a bit,” she told an over-eager spectator seeking her photo as she was getting assessed. Arthur seemed fine after the event, smiling before joining her mother in the crowd to watch on as teammate Scotty James launched his campaign in the halfpipe. The men's final will be contested Wednesday but Tuesday belonged to Kim, who blew away the competition to take gold in the women's event, producing a near-perfect 98.25 on her final run to claim victory. The American teenager, who leads the world rankings and was the overwhelming favourite coming into the Olympics, admitted there had been pressure on her to succeed. "There has definitely been a lot of hype around this, on just a two-hour time period (for the final). It is pretty nerve-wracking as this has been a dream of mine since I was a little girl,” she said.